El Pais, one of Spain’s leading newspapers and often used as a source for this blog, has published several articles analyzing the Royal Family’s situation in Spain. 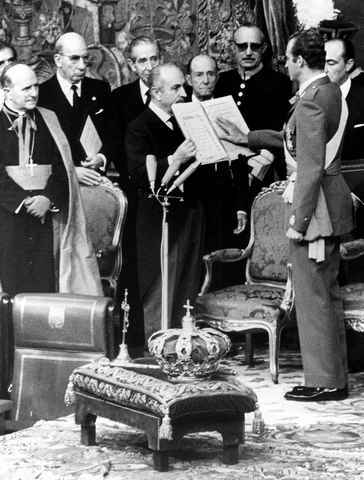 Many influential politicians and business leaders, the paper says several factors are affecting the Monarchy’s popularity — King Juan Carlos’ health, his recent trip to Botswana, his son-in-law facing corruption allegations, the economy, leftist movements and the fact that many young people don’t remember the the institution’s importance in establishing democracy. One article looks at the King’s situation, another reviews Prince Felipe’s role and another reviews the Queen’s recent actions, including only spending a few minutes visiting her husband at the hospital. Socialist leader Alfredo Pérez Rubalcaba said he would have told the King not to go hunting in Africa. The comments come amid a debate over how much control the elected Government should have over the Monarch’s activities. Still, despite other leftist comments against the Monarchy, the Socialist leadership is staying loyal. 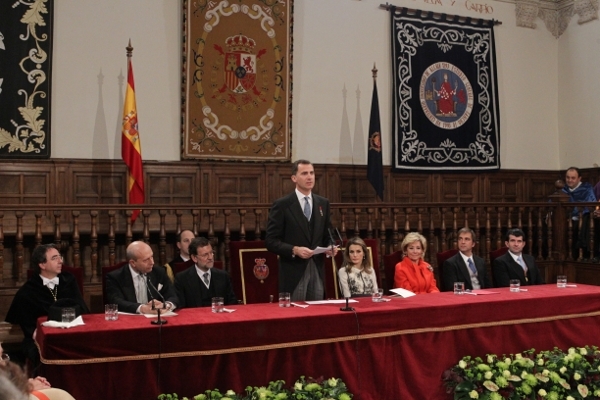 Meanwhile, as planned, Prince Felipe and Princess Letizia stepped in for Don Juan Carlos in giving out this year’s Cervantes prize at the University of Alcalá. Miguel de Cervantes Saavedra was born in Alcalá in the 1500’s. Posted on April 22, 2012 May 1, 2012 by talkingwithamericansPosted in UncategorizedTagged Cervantes, Desempleo, El Pais, Espana, King Juan Carlos, Monarchy, Parados, Prince Felipe, Queen Sofia, Spain, Unemployment.